Biaxial Geogrid Type B 20 is used for the stabilization and reinforcement of weak and low load bearing soils. The Biaxial Geogrid Type B 20 is manufactured by punching a regular pattern of holes on a continuous extruded sheet of polymers which is further heated and stretched so that the randomly oriented long-chain molecules are drawn to an ordered and aligned state which increases the tensile strength and tensile stiffness. Roed Base / Sub-base Reinforcement. Biaxial Geogrid Type B 30 is used for the stabilization and reinforcement of weak and low load bearing soils. The Biaxial Geogrid Type B 30 is manufactured by punching a regular pattern of holes on a continuous extruded sheet of polymers which is further heated and stretched so that the randomly oriented long-chain molecules are drawn to an ordered and aligned state which increases the tensile strength and tensile stiffness. Biaxial Geogrid Type B 40 is used for the stabilization and reinforcement of weak and low load bearing soils. 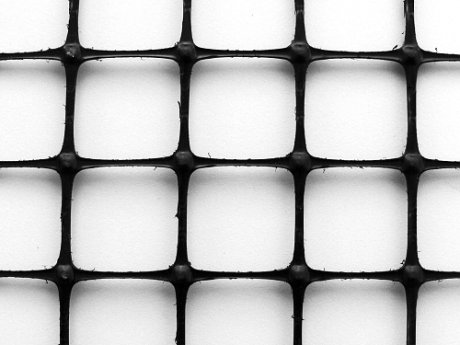 The Biaxial Geogrid Type B 40 is manufactured by punching a regular pattern of holes on a continuous extruded sheet of polymers which is further heated and stretched so that the randomly oriented long-chain molecules are drawn to an ordered and aligned state which increases the tensile strength and tensile stiffness.